Comment: I am looking to take my existing Paver patio (backyard) and remove it and re-design with better looking stone and shape the patio differently. Removing some bushes will also be required. Comment: I would like to get an estimate for another SP for having a concrete patio built. Comment: The walkway coming up to my house has some cracks and I have noticed that there are some fine white lines that appear to be future cracks on it also. Chesapeake Concrete Contractors are rated 4.72 out of 5 based on 542 reviews of 13 pros. 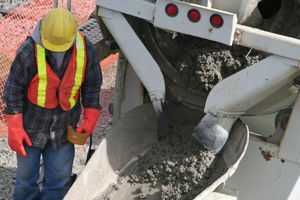 Not Looking for Concrete Contractors in Chesapeake, VA?